Leasing a restaurant? There are some terms, in particular, associated with the calculation of leases that you should be aware of. Here’s are the basics of landlord math so you understand numbers on restaurant spaces for lease. For starters, landlords price space as a price per square foot on an annual basis. That’s the first and most confusing part of a lease. The price per square foot has to be divided by twelve months to get the amount of the rent payment per month. Another confusing term is “Base Rent.” What is base rent? It’s the flat amount of rent to be paid every month. In addition to this amount, you will also have to pay, for most spaces, CAM fees, Taxes and Insurance as well. CAM is an acronym for “Common Area Maintenance.” Common area maintenance refers to expenses for the common good of the shopping center which are distributed among those who benefit on a square footage basis. CAMS can include anything from garbage pickup to landscaping, security and exterior lighting. It’s very important to understand the amount of CAM charges in the current time period and be aware of their ability to rise over time as they are not fixed amounts like your base rent. It is not uncommon for the monthly rent to increase as much as 30% if you are leasing a restaurant in a high tax area. When taxes to up, your rent goes up. When insurance costs increase, this is passed on to you as a tenant. The landlord can only quote you the current year and this amount, like base rent, is expressed on a cost per square foot. To add more confusion, the AM fee is calculated on a pro-rata basis or “in proportion” to the square footage. If you are 1200 square feet of a 12,000 square foot shopping center, you are charged 10% of the total CAMS, Taxes and Insurance for the property. You will still be responsible for taxes and insurance on your personal property, your restaurant within the lease space. Here’s an example of a rent calculation. 1200 square foot restaurant space for lease. Another lease term you may hear is “Triple Net” which is frequently advertised as an “NNN” lease. In a triple net lease scenario, often associated with a free standing buildings, you will be responsible for all exterior upkeep to the restaurant space for lease. If the driveway needs paving, it’s your responsibility. In addition, you will have to keep insurance in full effect and pay all taxes. Another important landlord math term to be aware of is TI or Tenant Improvement money. A Tenant Improvement Allowance, commonly referred to as the “TI” allowance, is the amount of money offered by a landlord to the tenant for improvement to the space. The funds are generally offered one of two ways: dollars per square foot of the leased premises or a set dollar amount. These funds are to be used strictly for the improvements to the leased space. They cannot be used for the purchase of equipment or inventory for your restaurant. Here are of the little known details about TI money you should know. First, the money is not advanced to the restaurant owner. Typically, both the tenant and landlord meet to agree upon the plans or design and then the tenant pays the contractor for the expenses. The landlord later reimburses the tenant based on a full accounting. Sometimes the landlord will add language that if the project is not completed within a certain amount of time than the TI money is not reimbursed. Sometimes he will only repay funds if he chooses the contractor. Make sure you have control over who does the work and what you’re paying. Secondly, tenant improvement money is expected to supplement the expense for build out. It does not cover the entire cost. The landlord’s contribution is for long term improvements to his property. He wants to see you invest as well and fully expects your contribution to the project at least match his. This is a word of warning to the would-be tenant. Tenant improvement money, or TI, is not free money. You will be paying this back in the rent amount at some ridiculous rate of interest that’s never clearly calculated for you. It’s all part of the landlord’s top secret formula for arriving at a square footage price. It may seem like a huge amount of money when a landlord is offering up $20 a square foot for a 2000 square foot space or $40,000 of “free” money. However, a typical build out of a restaurant will be much more than that. Average expenses range from $15,000 for a grease trap (in ground 1500 gallon) to $1000.00 per linear foot for a hood (average 12-14 foot or $12,000 to $15,000). Installation of mechanical, electrical and plumbing can easily run another $40,000 before you build any walls, add flooring, put in a bar or purchase any equipment. That’s why a “second generation” space or even the purchase of an asset sale is often less expensive and less work. 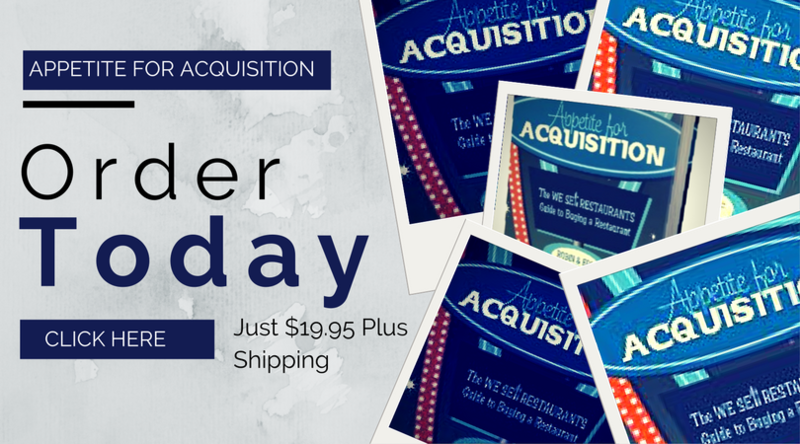 Approach leasing a restaurant the same way you would buying a restaurant. Go in with your eyes wide open, in full possession of as much knowledge as possible and make sure you know the numbers. 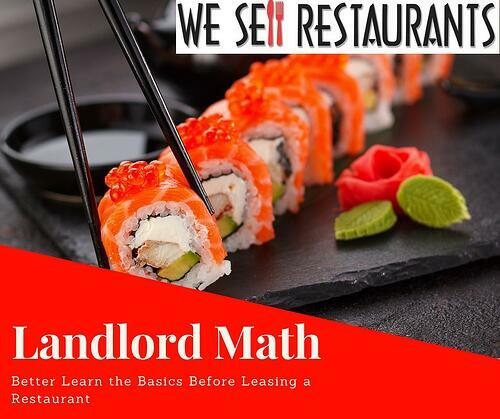 Do you have questions about leasing a restaurant or restaurant math? Reach out to We Sell Restaurants for more help and information on this topic.